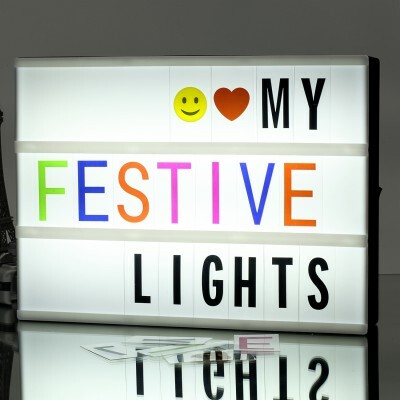 ☆ Decorative battery powered LED light box with 271 letters symbols and numbers for making your very own fun messages. ☆ Not only can use letter cards but also pictures, you not only can use the letter cards with the light box, but also can use the drawing, photo, Ad Image ,Greeting cards etc. 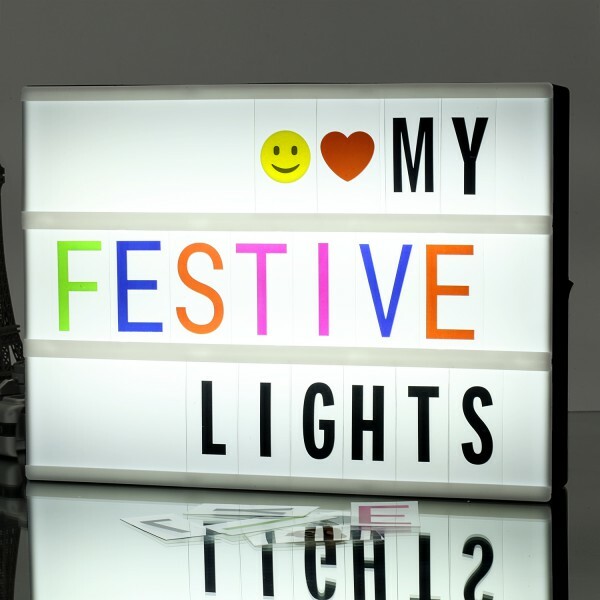 Decorative Letter LED light box with 271 letters and symbols for making your very own fun messages. You can change the messages as often as you like simply by sliding the letters. Use range: wedding decorations, wall decor, interior decoration, outdoor decoration and so on! 2.Fully Personalise light box sign. Create your own message by sliding letters on and off. 4.This brilliant light box has a real cinematic feel. Widely used for kinds of occasions, such as Wedding, Party, Birthday.